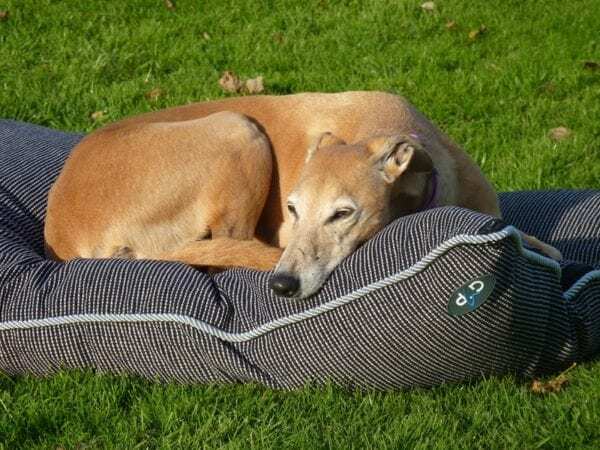 Comfy cushion dog bed with waterproof inside cover – made by Gorpets. These cushions are perfect for your pet to just lounge around! They are comfy and stylish and extremely practical too. Additional covers are available. 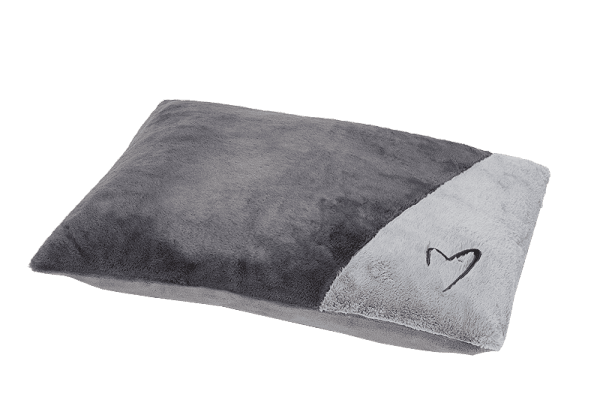 These cushions come with two removable covers. 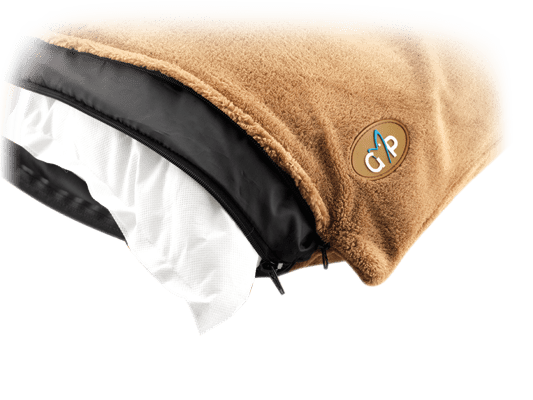 The inner cover is shower-proof to protect from water penetration – or little accidents while the outer cover is made from pet-friendly comfy fabric. 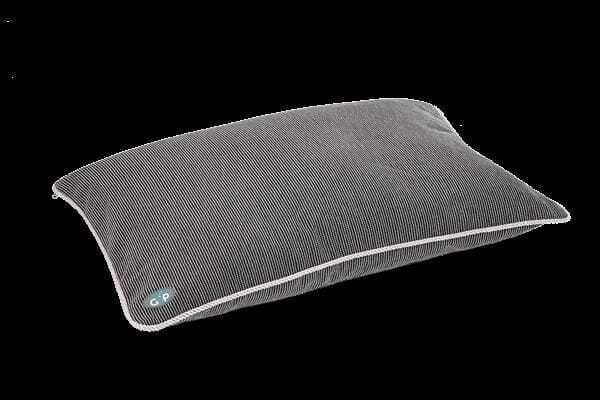 Inside they are deep filled with 100% polyester blown fibre, in its own encasing which keeps the fibre evenly spread. 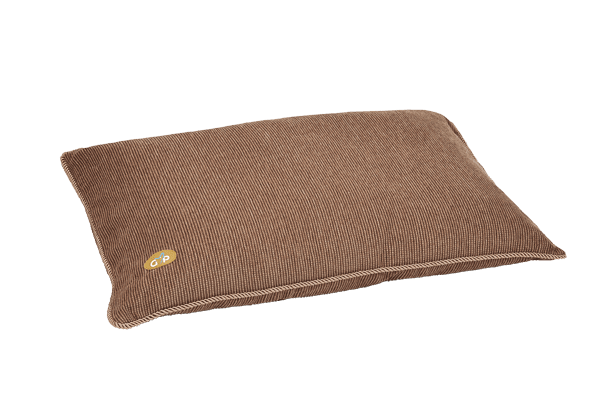 Available in grey/dark grey and cream/brown – these cushions are a very soft, very cuddly plush fabric that your dog will sink into. 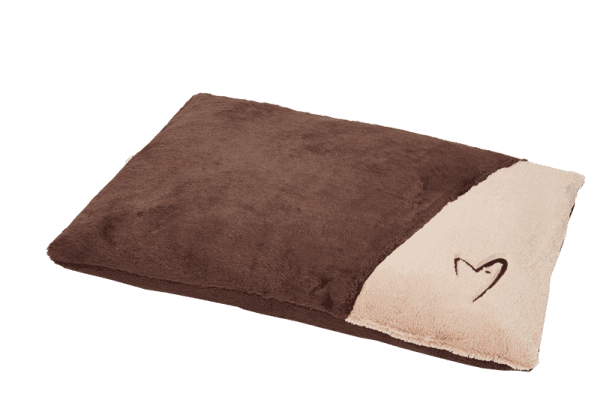 The fabric is similar to a soft cord material and the cushions are a very soft huggable fabric – available in mocha brown or grey. 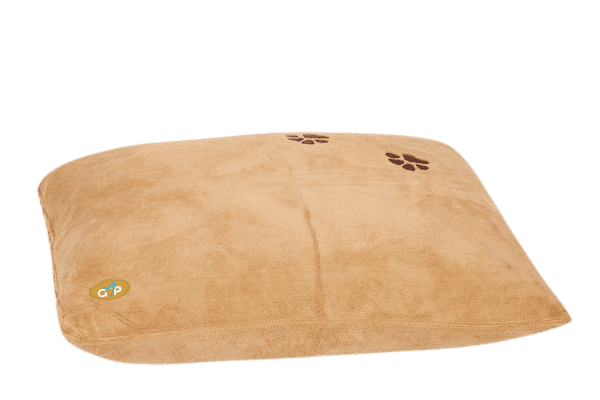 Available is a caramel colour with cute paw prints in the corner. 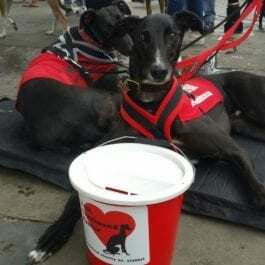 Available in large size to fit your greyhound or any other large breed – they measure 30 x 46. 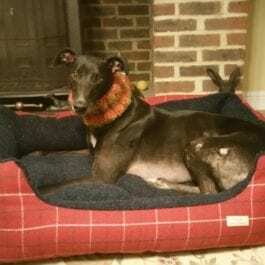 The beds are made in the UK by Gor Pets and are very high quality. 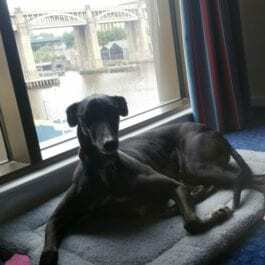 We also sell covers but please note if you are buying a replacement cover you need to buy the correct type – for either the cushion bed or the sleeper bed.